Great for use as a standard PAR with the additional eye candy of pixel mapping effects, the Chauvet DJ PiXPar 12 is a must-have fixture for mobile DJs or club installers looking for high-impact visuals on a budget. 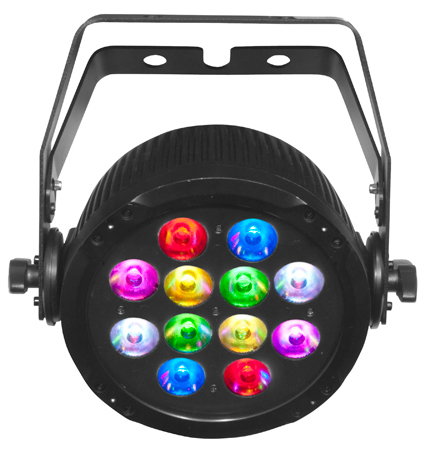 This compact, pixel mapping PAR can-style wash light is equipped with built-in, eye catching effect macros. Powered by 12 individually controllable tri-colored LEDs to create elaborate animations and video effects. Super-smooth LED fading and flicker-free output make it an ideal fixture for events being videotaped.